After Konami's maddeningly hard Contra/Probotector proved immensely popular, obviously it wasn't going to sit around and not make a sequel. 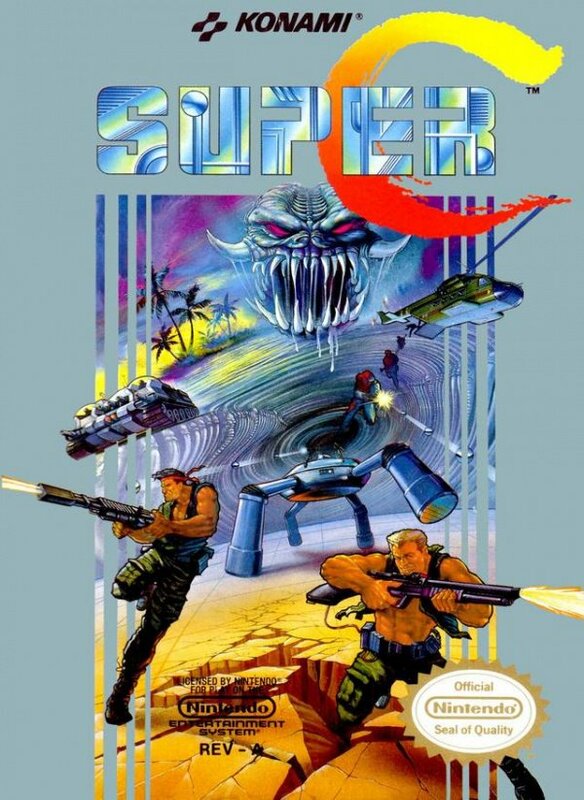 Super C/Probotector II puts you in the role of the same heroes once again as you try to take out alien scum. This time they're possessing humans to attack you. The game's got practically the same gameplay as the original - just run right while fighting off hordes of enemies and dodging a lot of bullets. It does seem to be slightly easier than the original though; perhaps Konami thought it was a bit too hard. Along the way you can shoot down pods that fly overhead to obtain powerups in order to change your weapon, with options such as shotgun (spread shots) or missile (strong but slow). As usual in the series, there are some non-2D sidescroller sections as well. 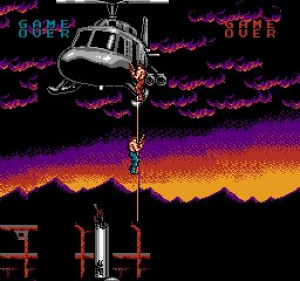 This game introduces overhead sections (which would return in Contra III/Super Probotector for SNES, also on VC) which are slightly easier than the sidescrolling sections. The bosses are, as usual, enormous machines and creatures which have their own specific weak points. They're not as frustratingly hard as some of the bosses in other games in the series, but can still provide a good challenge. As an added bonus, the NES port has three extra stages not present in the arcade game; there is also a new final boss. The music is nothing too special (except for the level 1 theme), but it is upbeat and lively, getting the point across well. 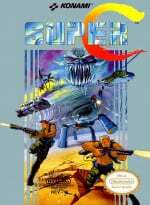 All in all, Super C is a great sequel to the original Contra. What most gamers found appealing about the original - challenge - is sadly lacking slightly here though. This does make the game a good entry point into the series for more inexperienced players, but veterans might find it a bit easy. nice review. i agree w/ pretty much everything you said. haven't played much of contra 3 yet, but will be trying that one soon. I wish they would RELEASE THE ORIGINAL ON VC ALREADY. I no longer have an NES and that was a really fun game aside feeling a bit too hard at times. 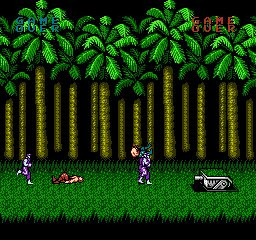 But as everyone seems to know the 30 life Konami code that made the game just right. I'll preface by saying that I love this website, but that was a very weak review. Give that game it's proper due by composing a review with some depth (e.g. reason for losing the "Contra" name, why the characters were changed, addition of inclined areas, change from behind-the-back to overhead levels, etc.). I have beat it a couple of times and have to say that I don't agree with this gane being easy by any means. It is one tough mother ! The eShop review is much better.